It’s a sad day in the world of baseball. 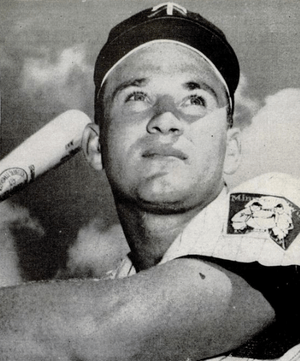 Hall of Fame slugger Harmon Killebrew died earlier today at his home in Scottsdale, Arizona. Mr. Killebrew had announced just four days ago that he was conceding his battle to esophageal cancer and was saying goodbye. The suddenness of his death still came as a surprise to many of those close to him. In 1954, at age 18, Harmon Killebrew was signed to a contract with the Washington Senators. He was discovered on behalf of the Senators by former Brooklyn Dodgers slugger Babe Herman. That same year he made his Major League debut and hit .308 albeit in only 13 at bats. He went on to hit 573 career home runs with 1584 RBI’s in 22 Major League seasons. When it came to providing autographs for his fans, Mr. Killebrew was a Hall of Famer off the field as well. I never saw him turn down a single request. He was a quiet, gentle man that defined class. He will be missed. This entry was posted in autographed cachets, autographed fdc, autographed first day covers, Autographs and tagged Babe Herman, Harmon Killebrew, List of top 500 Major League Baseball home run hitters, Major League Baseball, Minnesota Twins, National Baseball Hall of Fame and Museum, Run batted in, Twins. Bookmark the permalink.